Lead & Nickel Free!! 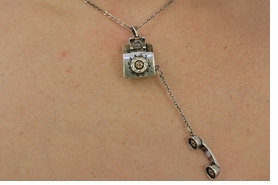 Matte Antique Gold Tone Lobster Clasp Chain Suspends A True Conversation Piece...Take A Walk Down Memory Lane With This Cute Retro Rotary Phone Necklace. Dial Is Accented With Topaz Color Faceted Stones. 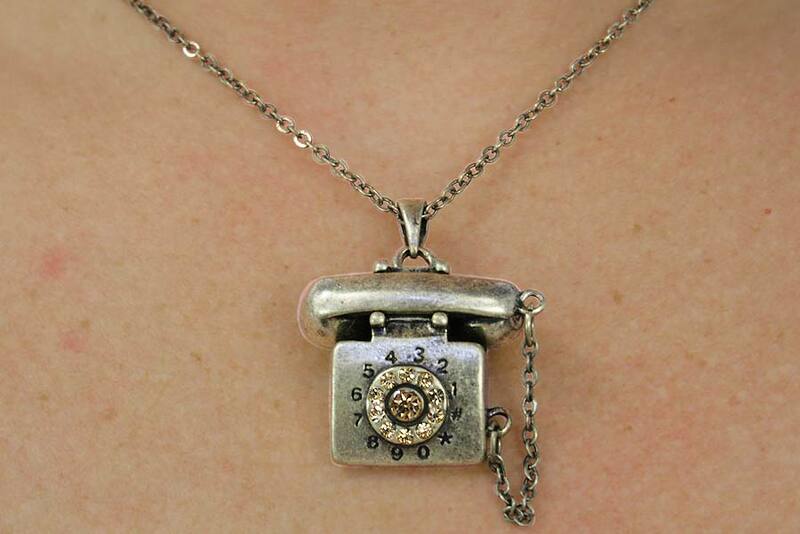 Phone Actually Can Come Off The Hook Or Stay On And Is Secured With A Magnet. Charm Measures 7/8" X 11/16"